Success in efforts how through astrology, predicting success in efforts, can astrology predict success, houses of horoscope responsible for success in efforts, planets responsible bring success in efforts, Secret to success in attempt, Astrologer for predictions. Success plays a very important role in our life and without this we are not able to live life satisfactorily, small success makes us ready to achieve something big in life. So every one makes regular efforts to achieve something big in life. But some achieve there goal very easily in less efforts on the other hand some faces failure regularly in whole life. Here questions arises in mind why some win the world easily, Why others are struggling, What to do to over come from this problem, how to know the success rate in life. So here as an astrologer I want to clear one thing as per my experience that we can't assign only one planet for all this. 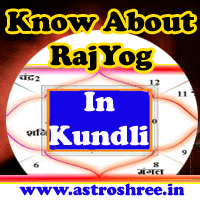 Minute study of horoscope/kundli/birth chart is needed to know about what the person will achieve in life, how much effort the person will do in life, whether success is easy or not. The degree of planets are also important, there positions are also studied, Views of planets are studied and with this periods of planets/stars are studied then we can predict in true way about this fact. So don't reach at conclusion just by seeing only one planet in kundli. Let's understand the concept of success in attempts through an example. As per Indian Vedic astrology there are 12 houses in any kundli and in that every house represent different things related to our life. Among them Ist house,2nd house, 9th house, 10th house are very important to know about the success rate. First house related to the type of our thinking so it is directly affecting our decision which we are taking in life. Second house is a profit place so it shows that whether we will get the profit in the related field or our efforts will go waste. Ninth house represent luck so if this house is supportive then person easily achieve the goal in life. Tenth house is working house, if the efforts we make is related to this house then also our success rate increases. that "I have raj yoga but why I am not getting success" after analysing I found that there raj yoga is broken or weak due to which they are suffering in life. So here my suggestion is that only a good astrologer can clear you that what exactly the problem in your kundl/horoscope/birth chart and how to get success through astrology. In vedic astrology study of transit period or mahadasha with antardash is also studied to predict about the golden time of life, success time, failure time etc. So if there is raj yoga inkundli or the planetary positions are very good but it is not enough. To know the best time to get success we have to study the transit period, we have to see exactly when is the right time when the person will the best result of his or her efforts or attempts. So Vedic astrology is a marvellous art of India through which we are able to make our life fruitful, hurdle free, smooth but it is necessary to keep faith in this subject and then to take guidance from a good astrologer. If you want predictions about your life as per your horoscope/kundli/birth chart, if you want to know about your planets responsible for struggle, if you want to know about the ratna/gems stone which will enhance your luck to bring success in life, if you want to know about the poojas good for you then you are welcome to take astrology services of Vedic astrologer ASTROSHREE. Click here to know astrology consulting process.